You like to travel. So far, you have not run into any major issues while traveling abroad. Sure, there have been some hiccups along the way, but for the most part, you arrived and returned home safely without much hassle. But what if it could be easier? You might be thinking that traveling abroad is fairly easy now, but that is only because you haven’t faced obstacles. In this post, you will learn about the many benefits of obtaining a dual citizenship. Some you may be aware of, while others you wouldn’t realize unless you were in a specific situation. Better Travel Experience: Think about when you travel internationally. While on the flight you have to fill out a visitors form and then when you arrive, wait in endless lines to get the OK to enter the country. How great would it be to skip this? You could keep watching your movie on the flight. You could skip the line at the airport and just go through the shorter line for citizens. With a dual citizenship, you can do this. Safety: Let’s say you are visiting a foreign country and happen to break a law. Depending on the country you are in, this could be a non-issue or a very big issue. As an “outsider” you won’t have the legal rights as does a citizen. While you might think the odds are low of this happening to you, there are more and more stories of this happening to travelers every day. More Options: When you have a passport to another country, chances are that country has agreements in place with other countries that make travel much easier. This could mean easier entry and exit with a valid passport to even being able to take part in activities as a citizen even though you are not. 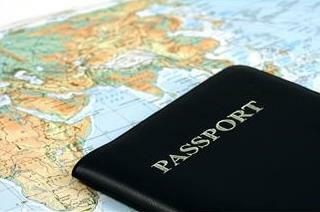 In some cases, you can even get a job simply by having a passport to another country that has an agreement in place. Higher Quality of Life: Living in some countries is expensive! If you become a citizen of another country that is less costly, you can live there and save money at the same time. Many retired Americans do this by moving to Central America where the dollar goes much farther. While you don’t have to live in the new location 100% of the time, splitting your time abroad can save you some serious money. Up until recently, naturalization was the only option. You had to move to the country and live there for a period of time. Depending on the country, this means you wait anywhere from five to 15 years before obtaining a passport. Luckily, another option has sprung up making this process much quicker and easier. You make a set investment in the country you want a passport and after a short waiting period and a background check, you are offered a passport. It is essentially buying citizenship. Going this route means making a monetary investment, anywhere from a few thousand dollars to a few million, depending on the country, and then waiting a few months. While it sounds simple enough, understand that they will perform a background check on you and want to meet with you to make certain you are who you say you are. At the end of the day, becoming a dual citizen has many benefits. When you take a minute to step back and look at the benefits and the ease at which you can become a dual citizen, it makes sense to go this route for many travelers. So take some time to look into this option and explore the world of possibilities with dual citizenship.